Speaking of plastic boxes though the topic is eons away from fashion, I’ve been avoiding eating anything hot inside a plastic container that could melt into the food for as long as I can remember. Why? There are always warnings that when plastic melts it releases bad toxins that could be very bad for your health hence I’ve been avoiding that situation like the plaque. 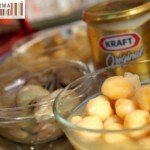 The other day however, I passed by our local Co-op to pick up some Nakhi (chickpeas) and Bajela (fava beans) for lunch. By the time I made it home the white Nakhi box was so hot it was actually nicely melted and took to re-arranging its shape around the Nakhi pieces perfectly, looking like an oversized bubble wrap. I gazed at the mutated white plastic box deformed by the heat, and it hit me that I’ve been avoiding eating hot things from plastic containers all this time but I’ve had no trouble eating Nakhi from a white plastic container almost on weekly basis every week of my life. The fact that this situation is similar never did register in my brain before that moment. I’ve also eaten hot bread wrapped in yesterday’s newspapers from the tanoor bakery next to the Nakhi seller in the co-op and that also can’t have been good to our health all these years! I know a lot of people, us included, take a towel or a special pouch to the tanoor to pick up their bread instead of having it wrapped in newspapers seeping leaded ink. 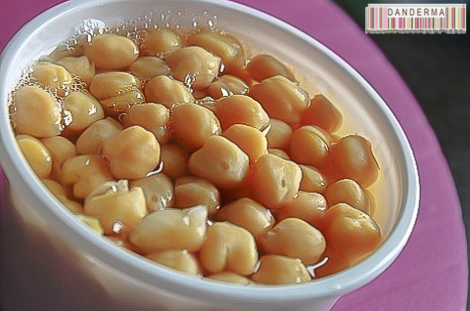 I’ve now realised I must take metal or stainless steel containers to the Nakhi and Bajela guy from now on for I cannot keep eating my chickpeas out of deformed and melted white boxes even if the box doesn’t lose its shape. I wonder why is this practice allowed to continue though? Why doesn’t the ministry of health or the ministry of commerce issue some rule regarding wrapping hot bread in old newspapers or using plastic containers that melt away before you reach home? Surely there is an alternative? I remember Keifan Co-op or Yarmouk Co-op issuing paper bags for the Tanoor bakery to use instead of newspapers for example, which are more cost effective but also more hygienic and harmless. Of course law intervention regarding this issue is quite far fetched, and I myself may be a bit paranoid by not wanting to eat from melted plastic containers or stained old newspapers when there is no solid proof that eating that way may cause you to get ill so for the time being I’ll stick to going with my own platters and pouches and letting you know that you could do the same and be careful. Do you get your Nakhi, Bajela, and Tanoor bread using the co-op wrapping or your own wrappers and plates? Why? How do you eat your Nakhi, Harees, Bajela, and Ash? I think you’re right! I never thought of it this way, but as safety precaution just bring your own container. It’s probably safer and environmentally friendly too! Exactly what I’m going to do, I don’t know how it never crossed my mind before though.